Indicate the appropriate GCWR /GVWR range for the commercial vehicle. The Gross Vehicle Weight Rating (GVWR) is the amount recommended by the manufacturer as the upper limit to the operational weight for a motor vehicle and any cargo (human or other) to be carried. 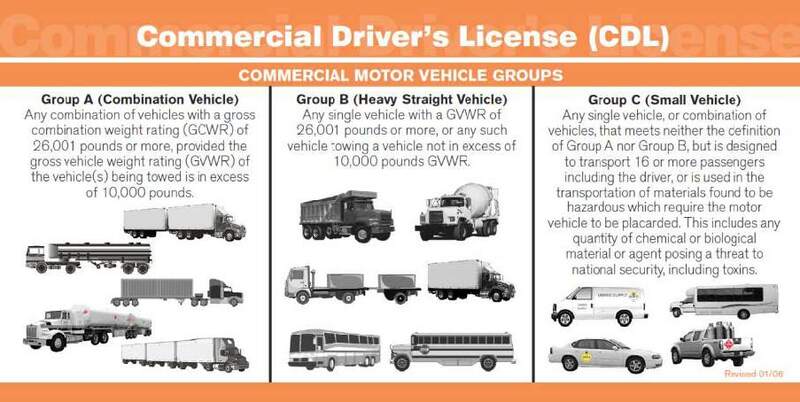 The Gross Combination Weight Rating (GCWR) is the sum of all GVWRs for each unit in a combination unit motor vehicle. Thus for single-unit trucks there is no difference between the GVWR and the GCWR. For combination trucks (truck tractors pulling a single semi-trailer, truck tractors pulling double or triple trailers, trucks pulling trailers, and trucks pulling other motor vehicles) the GCWR is the total of the GVWRs of all units in the combination. The Federal Motor Carrier Safety Administration (FMCSA) imposes certain regulations on all single or combination-unit trucks that have a Gross Combination Weight Rating (GCWR) of more than 10,000 lbs. Additional regulations are imposed on all motor vehicles with GCWRs of more than 26,000 lbs. 1 10,000 lbs. or Less This attribute should be used for passenger cars and light trucks with 10,000 lbs. or less GVWR/GCWR when displaying a hazardous materials placard, or for buses with 9 or more seats (including driver) with 10,000 lbs. GVWR or less. 2 10,001-26,000 lbs. Indicates a gross vehicle weight rating or gross combination weight rating (GVWR/GCWR) between 10,001 and 26,000 lbs. 3 More than 26,000 lbs. Indicates a gross vehicle weight rating or gross combination weight rating (GVWR/GCWR) more than 26,000 lbs.